Apply to Social Entrepreneurship workshop with Erdem Ovacik, co-founder and CEO of Donkey Republic! 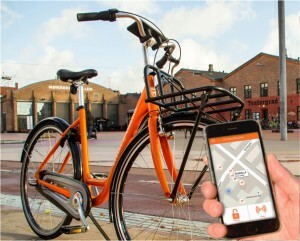 Currently, Donkey Republic focuses on renting bikes out to visitors. There will be two parts in the workshop: in the first part you will define the Donkey Republic customer profiles (personas). Building on this, during the second part you will develop and discuss channels and marketing strategies Donkey Republic could adopt to expand its footprint. Participants will receive a discount code and will be asked to try out a Donkey for free before the workshop. In addition, it is useful to read through a couple of reports about bike sharing and urban transport. To Erdem Ovacik (erdem@donkeyrepublic.com) by Friday, 26th of February. Please don’t hesitate to contact us via greenweek@oikos-copenhagen.org if you have any questions!